This preserve is open to public every day between sunrise and sunset. Parking is available along Worthington Drive just west of Allen Road. On November 21, 1989, the Southeast Michigan Land Conservancy received their very first land donation of 20 acres of wooded land in the City of Taylor. This property was generously donated by an anonymous Downriver resident who wanted to make sure that the land was protected from development so that kids would have a place to explore nature in the urban environment. As development has proceeded in the area, this parcel has truly become an urban oasis. 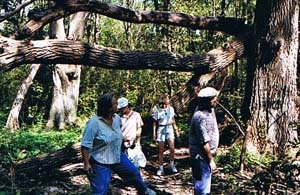 Most of the property is forested wetlands, with some very large trees and a thick understory. This preserve is open to public every day between sunrise and sunset. The Bell Creek Nature Preserve protects 1/2 mile of river frontage along this major tributary of the Rouge River. The forested property lies entirely within the 100-year floodplain and stretches from Harrison Road to Inkster Road. Trails are maintained by one of the neighbors who serves as a volunteer land steward for the property. This preserve is open to the public during guided events only. Please contact the SMLC office to find out how you can attend SMLC hosted events. On December 30, 2009, the Southeast Michigan Land Conservancy received the Deed to 26-acres in Van Buren Township, near the intersection of Belleville Road and I-94 in western Wayne County. This is the 5th land protection project that SMLC has completed in Wayne County. The property is largely forested wetlands and provides a needed stopover site for the many songbirds that migrate through the area. The good quality native forest consists of a variety of trees including Silver Maple, Swamp White Oak, Northern Red Oak, Sycamore, Basswood and American Elm. These trees support a host of insect species which, in turn, provide critical “fuel” to many Neotropical migrants such as warblers, tanagers, thrushes, grosbeaks, vireos, cuckoos and orioles. The forest also seems to have good potential habitat for nesting Eastern Screech Owls, Great-horned Owls, Red-tailed Hawks, and Cooper’s Hawks. A small tributary of the Huron River flows through the site and the Huron River Watershed Council identified the property as a key site to protect through their Bioreserve Project, which identifies and ranks the remaining natural areas within the watershed. Sibley Prairie is a tallgrass lakeplain prairie remnant located in Wayne County’s Brownstown Township. Lakeplain prairies are special grassland communities that exist in the upper Midwest and nowhere else in the world! Lakeplain prairie remnant at Sibley Prairie Nature Preserve - West Prarie Site in Brownstown Township. Lakeplain prairie is the result of an unusual combination of soil and hydrological conditions left over from the shores of a great glacial lake that existed in this area about 12,000 years ago. Due to these factors, there are many plant species specially adapted to live in this natural community. According to historical records, the remaining natural land is substantially representative of the landscape of southeast Michigan prior to European settlement. The Michigan Department of Natural Resources has encouraged conservation organizations to acquire more land in this area because of the unusually large number of rare and threatened plant species still found here. SMLC has placed a high priority on protecting high quality lakeplain habitat such as what is found at the two sites below. Click here for more information. This property is mostly wet-mesic forest, with pockets of oak openings and lakeplain prairie vegetation. Plants include swamp black oak, big blue stem and indian grass. 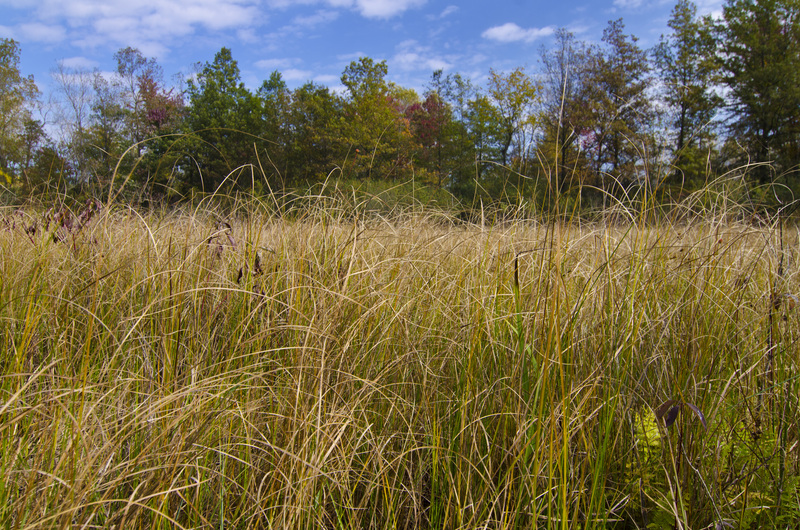 Southeast Michigan Land Conservancy received a donation of 3 acres containing lakeplain prairie in December of 1991. Two small protected parcels – 3 acres and 5 acres - owned the Michigan Nature Association are located nearby. SMLC's West Prairie Site is located about 1 mile north east of this location. All of these parcels are located in the Sibley Road remnant, part of the Greater Sibley Road Prairie Complex. Due to small size and difficult access, there are no trails or public amenities at this site. This preserve is open to the public from West Road during daylight hours. You may park along the road and enter from the posted traihead. Click here for a trail map. Located on West Road north of the intersection with Arsenal Road. The preserve is situated located between Inkster Rd. and S. Beech Daly Road. 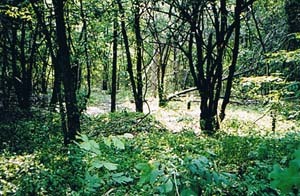 This property is mostly wet-mesic forest and forested wetland with button bush swamp. It wholly contains a historic prairie remnant known as the “Beech-Daly Road” prairie which was identified in a regional survey conducted in 1995 titled, “A Survey of Lakeplain Prairie in Michigan”. It is one remnant of many that make up the Greater Sibley Road Prairie Complex. The preserve contains pockets of oak openings and lakeplain prairie vegetation. Plants include swamp white oak, pin oak, black oak, big bluestem and indian grass. SMLC's Sibley Prairie Site is located about 1 mile southwest of this site. Southeast Michigan Land Conservancy received the property as a donation that included placing a Michigan Department of Environmental Quality (MDEQ) Conservation Easement on the property. SMLC is the designated Steward for the property on behalf of the MDEQ. SMLC’s future plans include continued stewardship management.